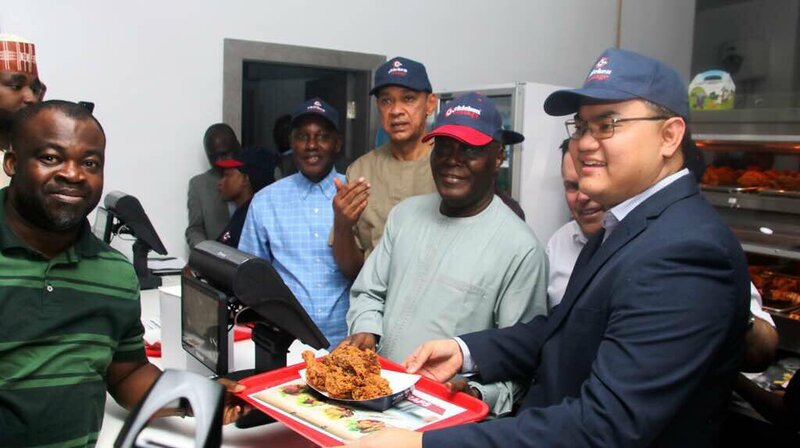 Former Vice President, Alhaji Atiku Abubakar, has spoken of plans to develop Chicken Cottage Nigeria as a regional hub for all operations in Sub-Saharan Africa. He said this while commissioning a Chicken cottage outlet, owned by him, on Saturday in Abuja. He promised to open more of the outlets in strategically important locations in Nigeria. “Our target is to have at least One Chicken Cottage Restaurant in every state in Nigeria. ” Ultimately, we intend to develop Chicken Cottage Nigeria as the regional hub for all operations in Sub-Saharan Africa. Abubakar expressed optimism that establishment of the cottage outlets in states would help reduce unemployment in the country. “You can be sure that having at least one Chicken Cottage in every state will help get Nigerians working again. He said that Chicken Cottage would also contribute to patronage of local farmers as the main raw materials for the products would be sourced locally. This according to him include agricultural produce such as chicken, vegetables, potato, rice. “My ultimate joy will be to patronise our local farmers and see them have their produce bought and used here in Nigeria and Africa, thereby empowering them.